AVASA, the Italian Association for Furthering Value Archeology and Ancient History, is a research institute committed to the sharing of values that are rooted in the past. The past, when shared, constitutes the vertical dimension in time of our communal identity, linked to a specific territory. AVASA is based in a small mountain village in the Val d'Ossola, but it has wide-ranging connections, in Italy and Europe, in the Near East and Asia, in the United States. 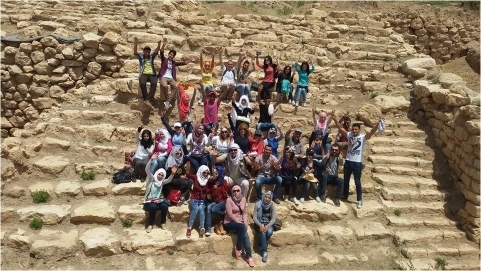 The photo we chose for our welcome page depicts a group of young university students from the region around Urkesh, who visited the site in 2016, while the war was raging. It is the young face of this new participatory and socially responsible archeology that AVASA is promoting with innovative methods and systems.